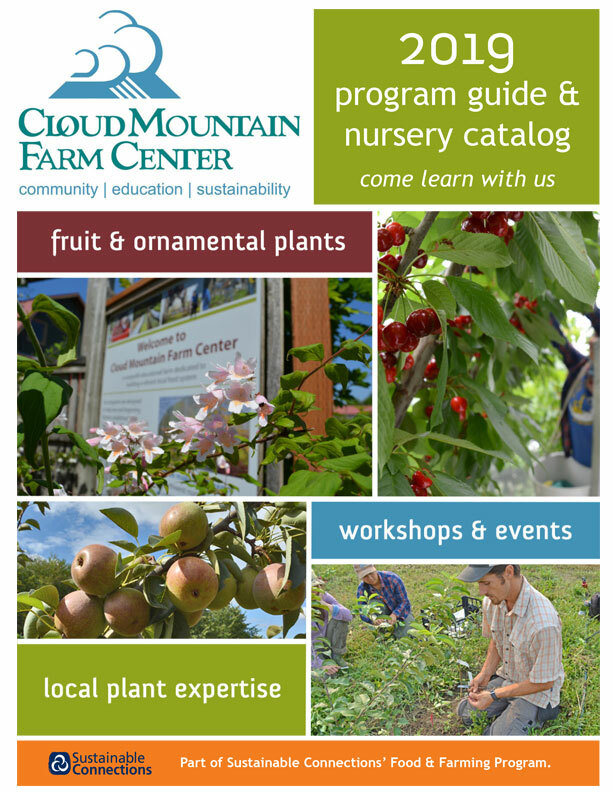 As a non-profit, agricultural education organization, Cloud Mountain Farm Center is a working farm, with rich learning opportunities for beginning and experienced farmers and gardeners. We offer paid internships for those wanting to learn the business of farming, volunteer opportunities, and many learning opportunities for gardeners wanting to expand their knowledge. For decades we’ve run trials of fruit, ornamental, and, more recently, vegetable plants for suitability to Northwest gardens and farms. We also test growing systems to extend the seasons and push the boundaries of the possibilities for growing in our maritime climate.